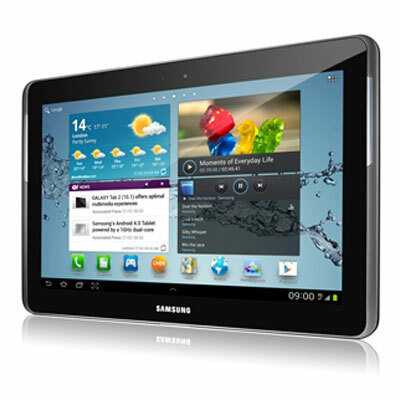 The Samsung Galaxy Tab 2 10.1 which was announced at MWC 2012 is now officially available in India for Rs. 32,990. The Tablet comes with 10.1-inch (1280×800) PLS TFT display, 1 GHz Dual-Core Processor,3 MP Rear Camera and VGA front camera for video call. The Galaxy Tab 2 10.1 runs on Android 4.0 Ice Cream Sandwich OS. The tablet is available in 3G and WiFi versions. It seems only 16 GB model is available in India but the good thing is that it support microSD card so that you can extend the memory. Currently only White Color is available but you can preorder sliver one from Samsung E Store.